It’s 2015 and the London Courier Emergency Fund is hosting another great courier event here in London. So get ready for more London fun, sun, rain and pain. No doubt a bit of mayhem will kick off too. So get your diaries out and black out the middle weekend in September. Book your flights, and make sure you get into central London by 5pm on Friday 11th. As usual, we will be putting on a packed weekend of races, parties, silly games and goulash. We will be raising money for the London Courier Emergency Fund, which is still helping out injured couriers across the capital. Unlucky messengers rely on the LCEF to help them out when accidents happen, so we hope that with your help, attendance and party spirit, we can make sure the LCEF continues to exist and be there in times of trouble for all the London Messfam. We hope you will also be coming to the WISE BMC in Glasgow in August, and look forward to bringing the fun back down south just before the Autumn kicks in for real. We are looking forward to having you all here in London Town with us, getting merry. To coincide with the London’s Calling 8, we have also teamed up with Milltag, purveyors of fine cycling jerseys, to bring you a limited edition model. They are ready for pre-order and retail at £70, with £20 going to the LCEF. Available in mens and womens.. The 20th edition of the European Cycle Messenger Championships will be taking place in Milano on the last weekend of May. So, if you haven’t booked your plane ticket yet or registered for what will be a great ECMC, now’s the time. 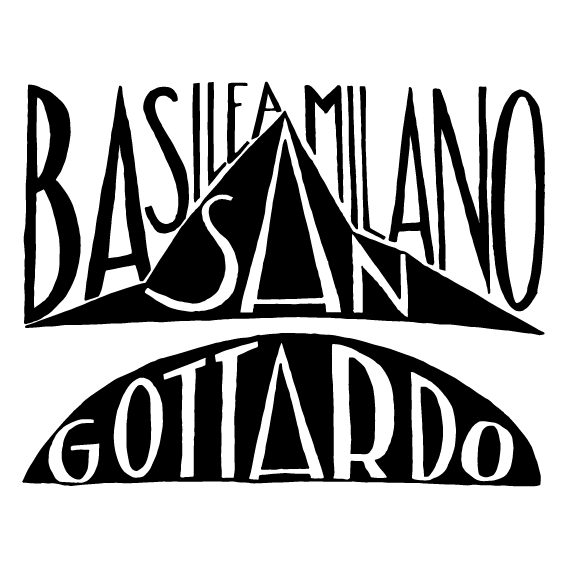 The event, organised by the Messengers United Milano, promises to be pretty sensational. I’ve checked the program, seen the race course and even had a special preview into the race manifests, rookies out there better put their thinking caps on, speed definitely won’t be everything for that main race. And you can expect the usual mix of messenger rowdiness, competition, friendship and a large dollop of gelato. And of course, the whole range of LCEF merchandise will be on sale during the weekend. Let’s not forget the ECMC pre-event, it will be held in Basel, Switzerland the previous weekend with a ride taking the strongest riders over the Alps to the heart of Milano. Unfortunately, i won’t be able to make it this year but i have contributed in some ways. The past few months have been spent gathering photos from the past 19 ECMC in order to put together a special photographic exhibition to celebrate the 20th edition. With the help of Selim Koricky, mess photographer extraordinaire, we have searched high and low for the best shots from the 1st edition of ECMC in Hamburg, Germany in 1996 up to last year’s great champs in Stockholm, Sweden. Big thank you to the photographers all over Europe, amateurs and professionals, who have given us permission to share their photos and their memories. I hope all those who will attend the championships will get much pleasure to look at 20 years of messenger’s photographic history. The exhibition will be held at the ECMC headquarters. I’m also happy to announce that the next London’s Calling, one of the LCEF biggest fundraiser, will be held the second weekend of September. First meet up has happened and organisation is under way with London riders getting together to bring you another edition of our favourite courier weekend. And to conclude, i would like to mention and thank the Dunwich Dynamo for their generous donation again this year. Some of the proceeds from the last ride’s catering, organised by members of the LFGSS forum and Hackney LCC, were handed to the LCEF a few weeks ago. Any donation, big or small, is always greatly appreciated. The LCEF has handled 6 injured courier claims so far this year and has been able to promptly help all the injured riders. Happy new year to all the people who have supported us in the past year, whether you have bought our merchandise, made a donation, send supportive words or helped out in any way. We have helped out 15 riders throughout the year, giving out several payouts to some of them, to help them through injuries sustained at work, while riding and making a living on the bike. It’s been another busy year with several successful fundraising events, great collaborations with artists and some amazing riding trips with fellow messengers that took me to Central America and across Europe. The international community has, again, been really supportive and we have been happy to help them back by participating in the Sister City Alleycat series to raise funds for the CMWC and sending out some of the profits to the sale of the LCEF Calendar 2015 to the Bicycle Messenger Emergency Fund, the Warsaw courier fund, the organisation of CMWC and ECMC. The LCEF is now entering its 7th year of raising funds and helping out couriers in need although things will be slowing down a notch as i won’t have so much time in the near future to dedicate to the fund. There won’t be any of the usual big events like London’s Calling this year. I will be keeping up with orders, admin and obviously claims from injured riders as long as possible and time allowing will try to organise smaller events/races. So i f anyone out there is interested in getting involved in any way or help out, even punctually, get in touch. 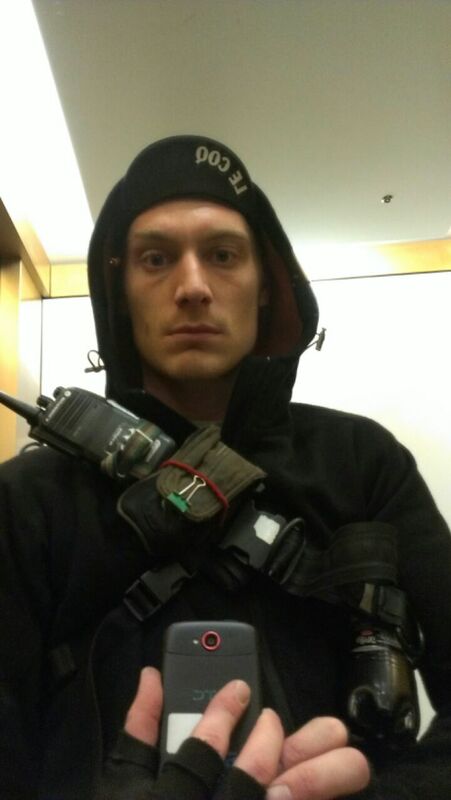 “Being a bicycle courier is unlike any other job. You feel free when you’re pedalling around the city. You see different sights. You’re never tied to one place. It gives you a sense of tremendous excitement. I am a courier, and I love my job. I’ve worked as a courier since February 2013, having worked in service and administrative positions previously. And I can tell you, nothing compares. Back in June of this year, I was injured while working. I came around a corner, trying to get to my pickup as quickly as I could, when I hit a pothole and went down. I crashed shoulder first into the pavement, with some pretty good speed. I had broken my collar bone and messed up my shoulder joint. Needless to say, I was devastated. Some of the couriers mentioned I should speak with the people who run the London Courier Emergency Fund. I was a bit hesitant to do so, but quickly ran out of money and found my situation to be desperate. So, I got in touch with Stephanie from the LCEF and she made it incredibly easy for me to get some help. It was so great to know that, even though my work couldn’t help me, there was a amazing community that could. Stephanie even went the extra mile by granting me a loan to help while I get back on my pedals. The LCEF has been there for me while others have fallen short. I want to conclude by saying that the LCEF is truly a great organisation, with the best interest of couriers always in mind. I would also recommend to anyone in a less-than-pleasant situation to contact LCEF when in trouble. It’s also important that we show support and spread the word. Thank you, LCEF! Hey, ho everyone, long time,no write. That’s because we’ve been super busy with the LCEF World Courier Calendar 2015, snapping beautiful quadriceps and biceps of crispy messengers across the world. That’s right, this year’s edition covers 13 cities from different countries and continents. A great bunch of talented photographers, over 50 henchy models and our skilled graphic designer, Richie Andrew have collaborated to bring the 5th edition of the LCEF calendar. All proceeds from the sale will go to the LCEF, the Bicycle Messenger Emergency Fund, the Warsaw Courier Fund as well as towards the organisation of the Cycle Messenger World Champs in Melbourne and the European Cycle Messenger Champs in Milano. Think about the best Xmas gift for your mums, paps, grand paps and grand mums and of course, for yourself! Calendars cost 10£££ and can be purchased online from the House of Pistard website: http://houseofpistard.bigcartel.com/product/lcef-2015-calendar. You’re also welcome to grab a copy at the annual LCEF Xmas party. 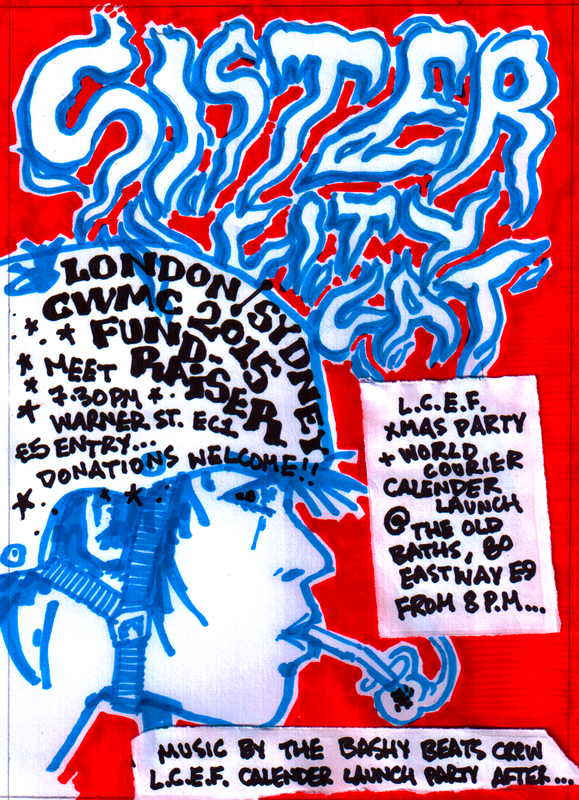 It will be held on the 19th December in the funky Hackney Wicked venue known as the Old Baths, 80 Eastway, E9 from 8pm. London-based Bashy Beats crew will spin some tunes all night, so come down and enjoy a tipple with the mess fam and other LCEF enthusiasts. If you’re not sure how to get to the Old Baths, gear up and race the Sister City Cat, follow the fastest beasts on wheels in town and get to the venue like a boss. 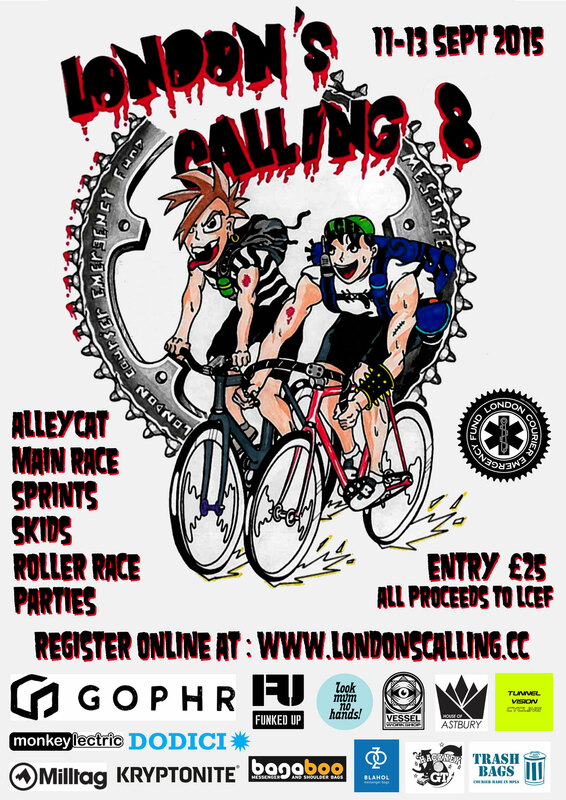 The alleycat starts from Warner St, EC1 at around 7.30pm next Friday. It’s a fundraiser for CMWC 2015 in Melbourne. Participating courier cities are paired up and race at the same time exchanging goodies from their local messenger companies as prizes. This year, we’ve been paired up with Sydney. Entry to the race is £5 and donations are welcome. 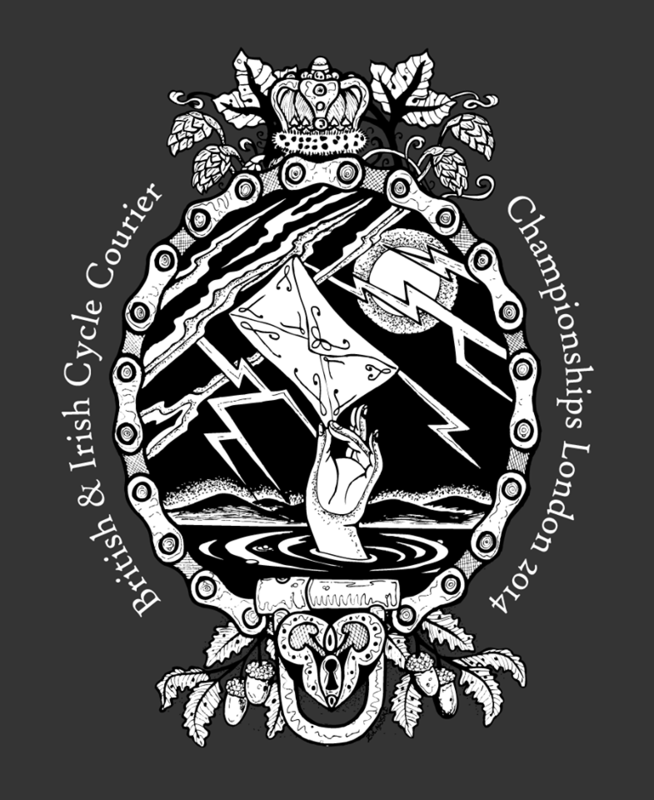 A tad earlier than the previous years, the LCEF and London’s Calling present the British and Irish Cycle Courier Championships on the bank holiday weekend from the 22 to the 24th August. Previous events have been popular with couriers and cycling enthusiasts alike and we’re working on a fun weekend with alleycat, parties, karaoke, track racing, roller racing, track standing darts, bike bungee, BBQ and a main race with a new format, a cross between an alleycat and a championship type race, which we hope will challenge our racers. You can register online for the weekend. Entry payable at the event. All the proceeds from the BICCC will go to the LCEF. We’re looking forward to see there…. “I was recently injured as a result of a collision with a black cab. On attending A&E, I was told that I had a fractured clavicle ( this being the third time that I have sustained this injury) & that I shouldn’t get back on my bike for six weeks. After three weeks off work, I knew that I would soon have no funds in my bank account. I have been aware of the LCEF pretty much as soon as they formed. 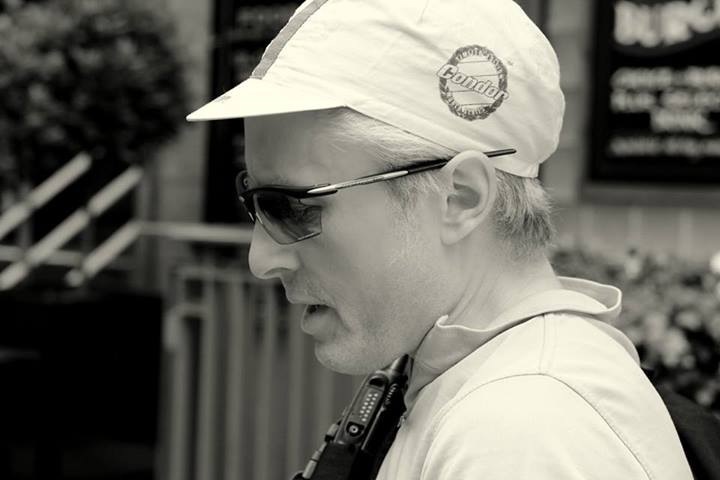 Being a veteran London courier, I had noticed various fellow riders wearing caps with the Fund’s logo. I applied to join the LCEF FaceBook Group only a couple of years ago, it was here that I learned of the extent of their good works. Postings, events, comments, fundraisers; everything our ever-growing community require to sustain solidarity, the evidence was there. At the few events that I have attended the aforementioned qualities are celebrated directly. I contacted the LCEF. Within a few days, a LCEF volunteer had visited my control room manager to vouchsafe my claim. The following day I received a payment from the LCEF. This payment, has enabled me to rest assured that I can recuperate sufficiently & not have to return to work prematurely. 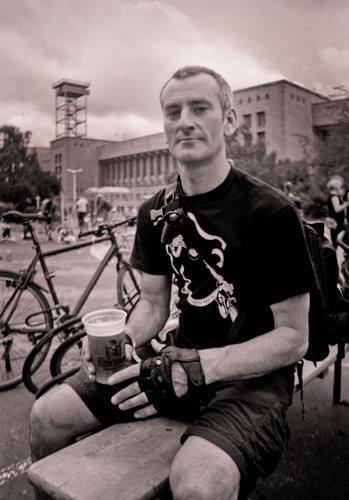 “I think I’ve had two or three payouts from the LCEF now.The last one was quite recent after I was knocked off by a passenger getting out of a black cab,he opened the door on me which broke my collar bone.I was given £300 which helped me enormously whilst I took time off work to recover. It isn’t just the financial aid the LCEF offers to injured bike couriers that’s important but the fact that the sense of companionship that exists among bike couriers has a constructive support system that is borne of the community. “Most days, i think we are the lucky ones. Not bound to the confines of an office and made to stare blankly at a computer screen in a vague attempt to look busy for 8 or 9 hours before being allowed to go home again. No, i really think we are the lucky ones. We get pay to ride bicycles, what could be better? Go there, get that, take it there and get that along the way to take somewhere else, all on double rush…… keR-ching! But some days it can all go horribly wrong as I well found out at the end of January. I was stopped at a junction on Bishopsgate, not in much of a hurry because I could see the door of the post room i was heading for, I was caught unaware and t-boned by a taxi. In the brief moment before the impact (the bit that goes slow-motion) I knew I was in for it, and i knew it was going to hurt and so it did. My thigh took the impact which in turn flipped me onto the bonnet, spewing my bike across the junction and bouncing me back into the road. I don’t remember much of what happened next, I remember the policeman asking me to get out of the road because concern for my bike hadn’t taken me as far as the pavement, and I remember the taxi driver apologizing profusely and waving a £20 note from the fare he had had just leave his cab. He got his tip, I got a dead leg the size of Nebraska and a broken shoulder. That said, and in credit to the cabbie, he drove me home and insisted we stop at Brixton cycles on the way to at least “pay for the wheel” as he so kindly put it. But that didn’t really help me in so far as how I was going to support myself for the next 11 weeks while my arm grew back, so I contacted Steph at the LCEF to see what could be done. And here is where i owe the biggest thanks of all, to Steph and to the LCEF, because after zero fuss and not much more than a day I was a fair bit richer than I had been on Wednesday. The LCEF had come to the rescue, and really helped me out of a tight spot of post xmas just been run-over skintness and helped me keep afloat while I re-gathered my forces, grew a new arm and watched some of the most scintillating day time tv that I didn’t know I had been missing all this time. 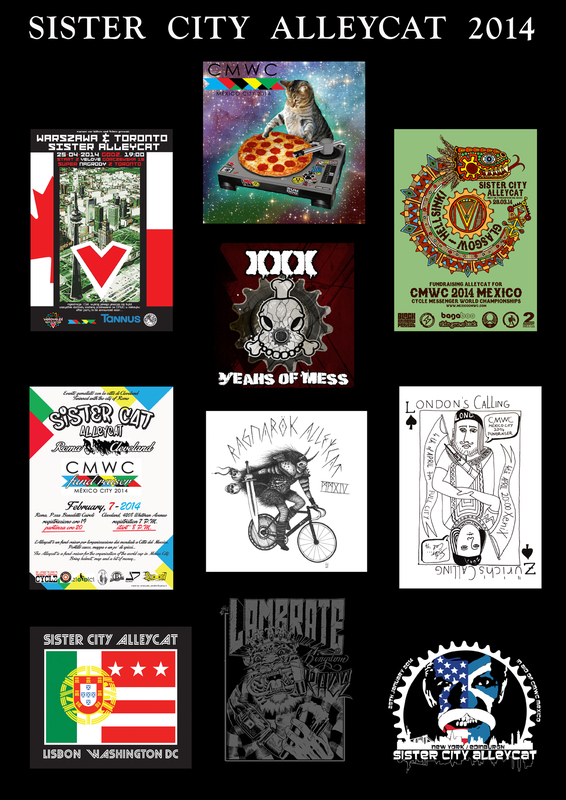 The Sister City Alleycat series is now over and we have raised £300 for CMWC 2014 Mexico. A dozen other cities all over the globe have also participated and the total raised was around $4000 (about £2,300) so well done to everyone. Much artwork was produced for those races to promoted them. So we gathered most of these great designs and put them together. 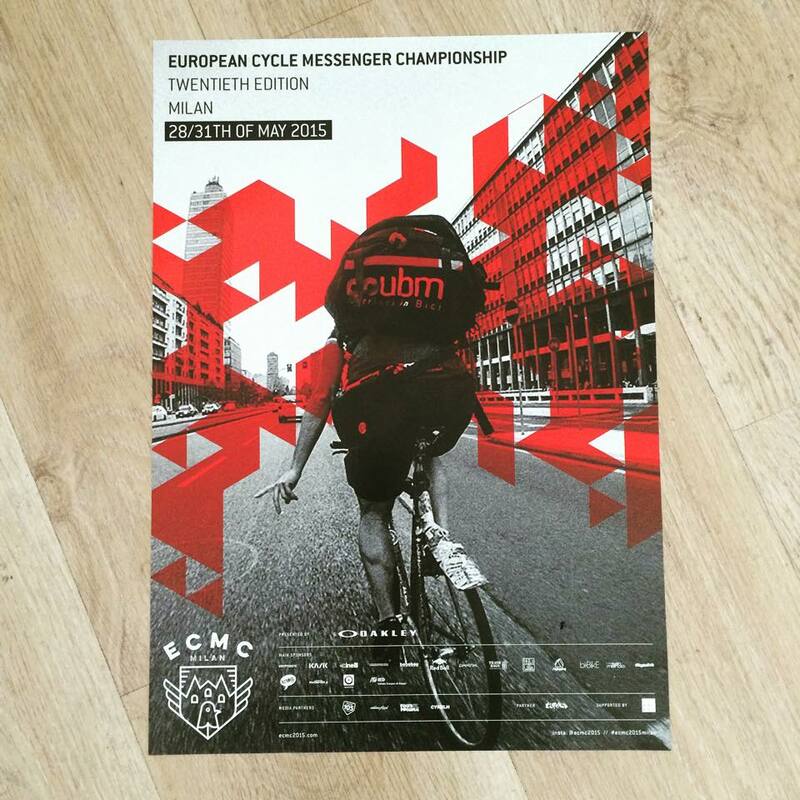 Posters are on sale for £10 (postage included) and all proceeds will also go to CMWC 2014 Mexico so if you got a wall space that needs brightening up, get in touch: londoncourieremergencyfund@gmail.com. 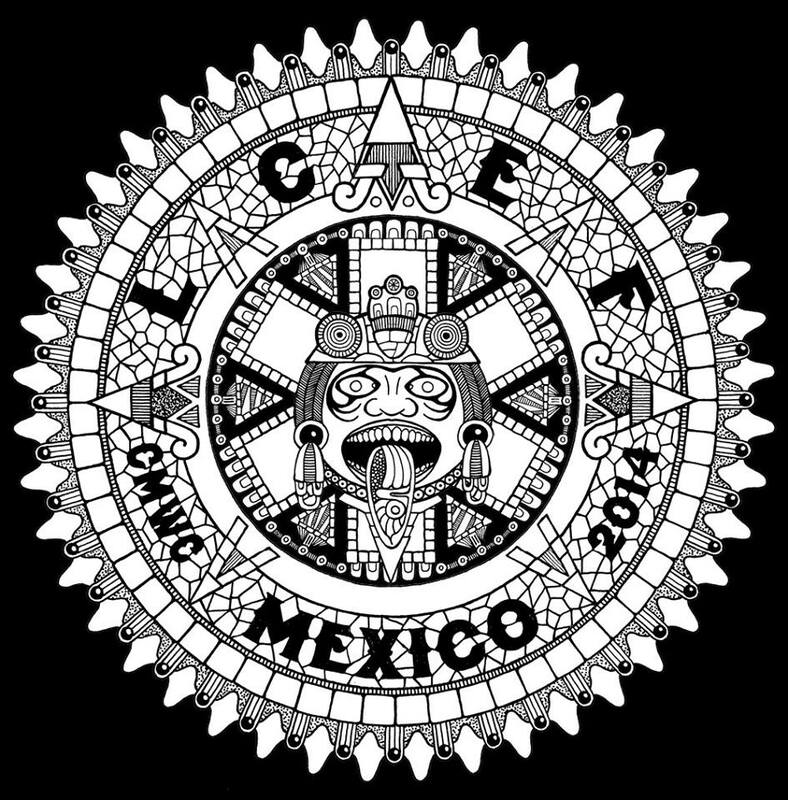 Talking of Mexico, i will be on my way to Mexico City next Friday with some LCEF merchandise as well as some limited edition t-shirts created especially for the event by Xander Mac from the House of Pistard. Tees will be on sale from this Friday, come at the Pakenham Arms, Pakenham St WC1 for a track standing darts special or drop me a line. T-shirts will be available in black and dark grey with a gold print. £10 all proceeds to the LCEF. We have a secure Co-operative Bank account so please contact us by phone or e-mail should you wish to donate (we will supply you with our bank details) or if you have any fund-raising ideas you want to discuss.